Officials in Iraq's autonomous Kurdish region have announced that the northern territory will hold an independence referendum on September 25. 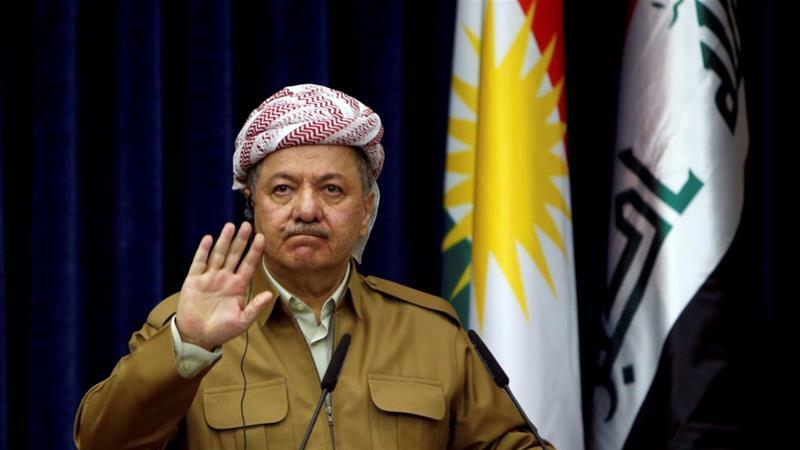 Masoud Barzani, the president of the Iraqi Kurdish Regional Government (KRG), announced the vote on Twitter on Wednesday. Hamin Hawrami, a senior presidential adviser, said on his own Twitter account that the decision follows a meeting of the major Kurdish political parties in Erbil, the region's capital. The referendum on whether to secede from Iraq will be held in the three governorates that make up the Kurdish region and in the areas that are disputed by the Kurdish and Iraqi governments but are currently under Kurdish military control. The disputed areas include swaths of northern territory that are claimed by both Kurdish Iraq and Baghdad, including the key oil-rich province of Kirkuk. Opposition in Baghdad to Kurdish Iraq becoming independent would become even greater if the region tried to take disputed territory along with it. But it is not clear whether a "Yes" vote, which is expected to be the result, will lead to the declaration of independence. While the concept of Kurdish independence has broad appeal among Iraqi Kurds, they themselves remain deeply divided politically, which could lead to paralysis in a new state. The Iraqi government has so far not reacted to the announcement. Iraqi Prime Minister Haider al-Abadi said in April that he respects the Kurdish right to vote on independence, but he did not think the timing was right for the move. "The key fundamental issue we have, is that there is a lack of partnership [with Baghdad]," Bayan Sami Abdul Rahman, the KRG's representative to the US, told Al Jazeera. She said that if Kurds do vote in favour of independence and actively pursue it, then they will seek a future relationship with Baghdad in which they are "each other's biggest trade partner, [with] agreements on security, banking, finance, currencies, economic trade", and many others. Iraq's Kurdish region, with a population of about five million, already enjoys a high degree of autonomy, including its own parliament and armed forces. But relations with the central government in Baghdad have nosedived in recent years over a range of issues. These include the sharing of oil revenues and the control of some areas that are technically part of federal Iraq but have come under Kurdish control since 2014 during the war against the Islamic State of Iraq and the Levant (ISIL) group. Neighbouring states like Turkey, Syria and Iran, which all have large and sometimes restive Kurdish populations, have in the past resisted moves towards Kurdish independence. Kurdistan exports most of its oil via a pipeline leading to the Turkish port of Ceyhan, but also overland through Turkey by tanker truck. Potential opposition from Turkey could thus pose a major economic as well as political challenge to Iraqi Kurdish independence.